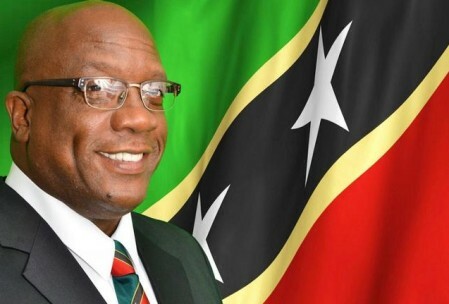 BASSETERRE, St. Kitts – St. Kitts and Nevis’ prime minister, the Honourable Dr. Timothy Harris, has extended his personal congratulations and that of the government’s and people of St. Kitts and Nevis to the government and people of Canada on its National Day celebration and to the United States of America (USA) in recognition of its Independence Day. On July 1, 1867, the British North Americas Act created the Dominion of Canada as a federation of four provinces; an event known as the Confederation of Canada. The four original provinces were created from the former British colonies of Nova Scotia, New Brunswick and the Province of Canada, which were divided into the provinces of Quebec and Ontario. The date was also officially known as Canada Day from 1983 onward. In his congratulatory letter to Canadian Prime Minister, the Right Honourable Justin Trudeau, Harris said Canada and St. Kitts and Nevis enjoy a special relationship, characterized by partnership, friendship and goodwill that has been built on a solid foundation of shared history, geography, trade, investment and migration. Harris also reflected on the history of mutual friendship shared between St. Kitts and Nevis and the USA. “As I reflect on our relations, our nations have enjoyed a history of cooperation and mutual respect, which has translated into vibrant commercial links, people to people contact, cultural exchanges, and American aid to the [federation,” he stated, noting that this partnership has withstood the test of time and continues to be strengthened. On July 2, 1776, the Continental Congress voted in favor of independence, and two days later delegates from the 13 colonies adopted the Declaration of Independence. From 1776 to the present day, July 4 has been celebrated as the birth of American independence, with festivities ranging from fireworks, parades and concerts to more casual family gatherings.